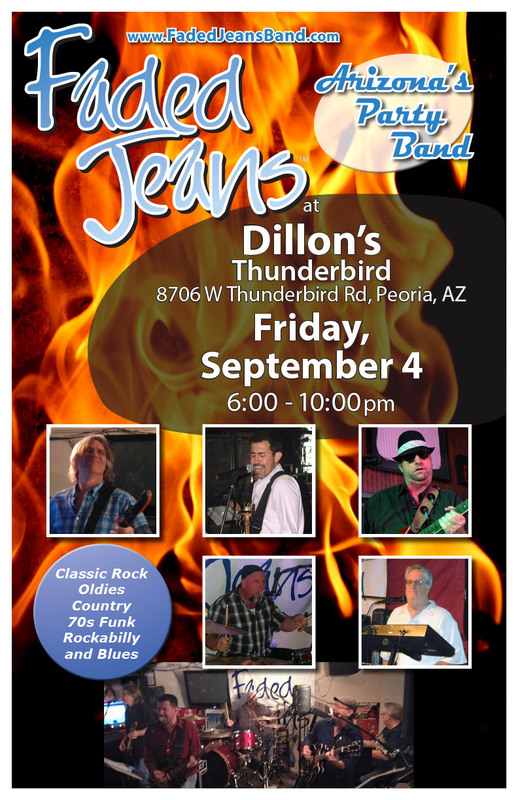 You Work Hard–You Deserve Some Party Time with FJB | Faded Jeans – Arizona's Party Band! Faded Jeans logo shirts for guys and gals are available at all FJB shows, while supplies last. Grab one in the style of your choice for only $20! Of course, once you have one, don’t forget to show it off to the world … just share a photo of you in your FJB shirt and we’ll add it to the collection on our Facebook page!